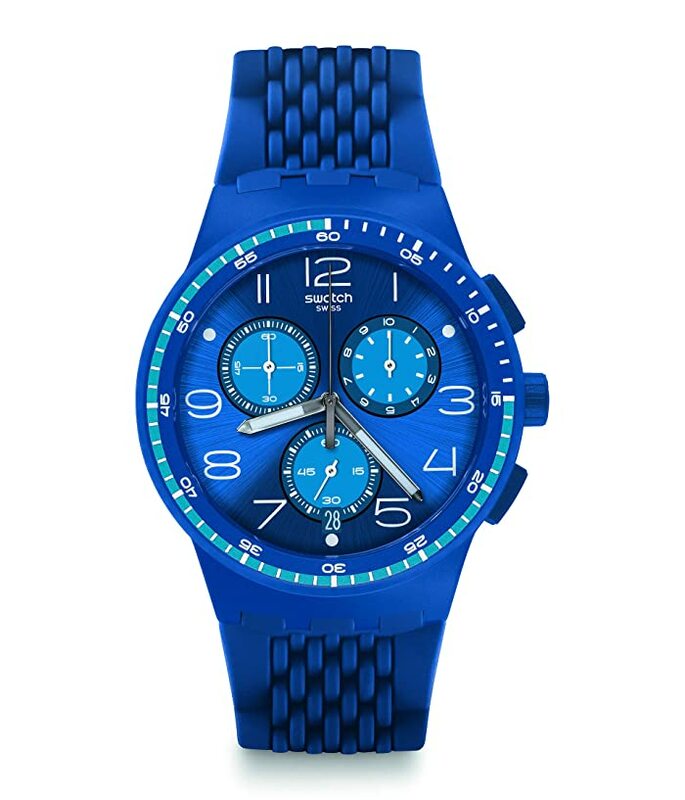 Go with the flow in Swatch® Triple Blue - SUSN415 Watch. 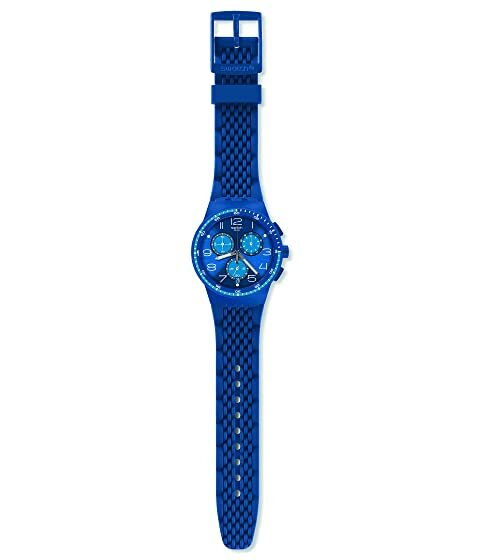 Part of the Time to Swatch Collection. Blue-toned silicone strap with a round case and plastic clasp. Three sub-dials on the chronograph's sun-brushed dial. Quartz movement with date display window. 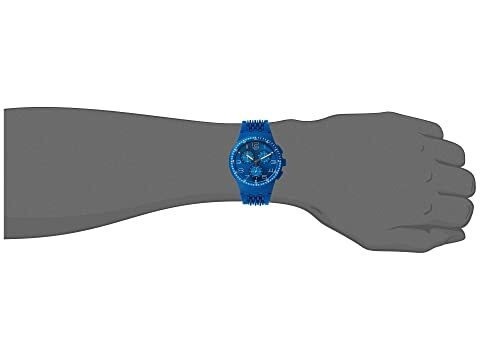 Push-button tachymeter and timing-mode feature. 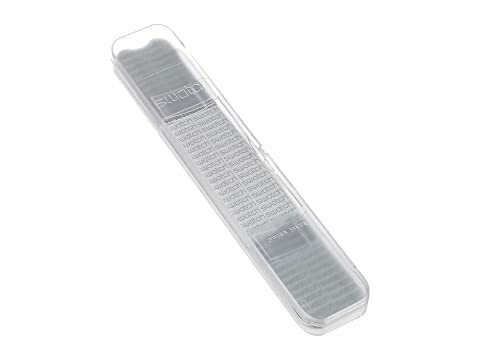 Three-bar 100 ft. water resistance.